The SummerStage Studio program is designed to support students during the summer months using the SummerStage Festival, and the history and culture of our city, as a backdrop for a performing arts education program. 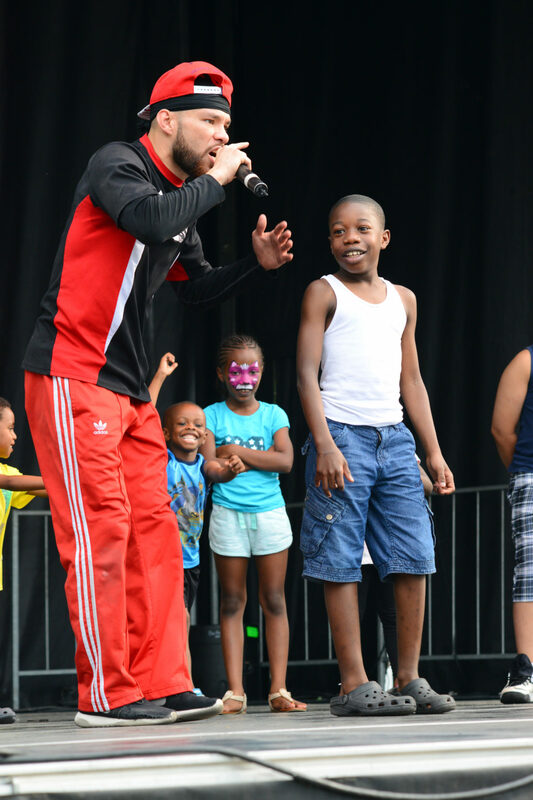 SummerStage Studio is designed to support students during the summer months using the SummerStage Festival, and the history and culture of our city, as a backdrop for a performing arts education program. Students will explore the music and movement of iconic New York art forms such as hip-hop, salsa, and R&B through interactive workshops. Students will be guided through comparisons of the history, sound, and styles of the music and dance genres. For more information call 212-360-1399 or marketing@cityparksfoundation.org. Generous private support is provided by The American Honda Foundation, The Carroll and Milton Petrie Foundation, The Barker Welfare Foundation, and The Dr. Robert C. and Tina Sohn Foundation. Public support is provided by the NYC Council under the leadership of Speaker Corey Johnson.